Nursing master’s degrees are for RNs who want to become qualified to move into more senior positions as hospital administrators or nurse educators, or who want to work in advanced clinical areas like informatics, nurse practitioner or nurse midwifery. More and more hospitals across the U.S. have moved to a policy of hiring only nurses with BSN degrees (read here about the ANCC’s “Magnet Recognition Program”. While that’s expected to improve the quality of care, it’s also meant that the BSN degree on it’s own is less of a distinguishing factor for a nurse who wants to move beyond “floor” nursing in a hospital unit. Hence the growing popularity of nursing master’s degrees. Some of the least expensive online nursing master’s programs are offered by state universities. One caveat, however, is that many of them charge out-of-state students a far higher tuition rate than students who live within the state. Online degree programs from the better-known distance learning schools like Kaplan, Grand Canyon and others may be a bit more expensive than the state schools, but they generally don’t charge more for out-of-state learners, and are extremely focused on catering to working nurses who may need to take breaks from their degree programs to attend to family needs, and who may need significant help in the area of financial aid. 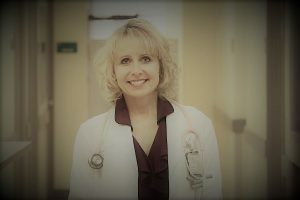 Many of the larger schools also offer “accelerated” degree options that allow you to complete an MSN more quickly, while some offer RN to MSN “bridge” degrees that allow you to go directly from RN to master’s without taking several years to complete a nursing bachelor’s degree. Demand for advanced practice nurses with master’s degrees is likely to grow over the long run as our society ages, more complex treatment regimens are developed, and hospitals and clinics look for practitioners who can deliver high quality care at a lower cost than what physicians can do (BLS). Salaries vary widely from nurse educators to nurse practitioners, but virtually all jobs that require a nursing masters pay more than those that require only a BSN. The listing below of affordable online nursing master’s degree programs is based primarily on our research of cost per credit. Your net cost at any nursing graduate school will vary greatly depending on offers of financial aid, any credit transfer you may be able to do for previous schoolwork, and length of program. It pays to shop around and ask lots of questions before committing to a degree program. Founded in 1971 by Reverend Jerry Falwell, Liberty is a private Christian school that has grown into the largest Evangelical university in the world, with 13,000 undergraduate students and 5,800 post grads on it’s campus in Lynchburg, Virginia. But it’s the online learning program at Liberty that’s truly massive. The school currently educates over 50,000 students every year through distance learning, with over 70 different academic specialties and degrees at the associates, bachelor and masters levels. It’s master’s programs in nursing are not at the bottom of the spectrum, but are in a moderate range.